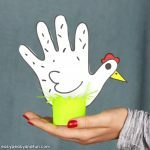 You can use all kinds of things for stencils when it comes to crafting, hands being one of the more fun ones you can use. 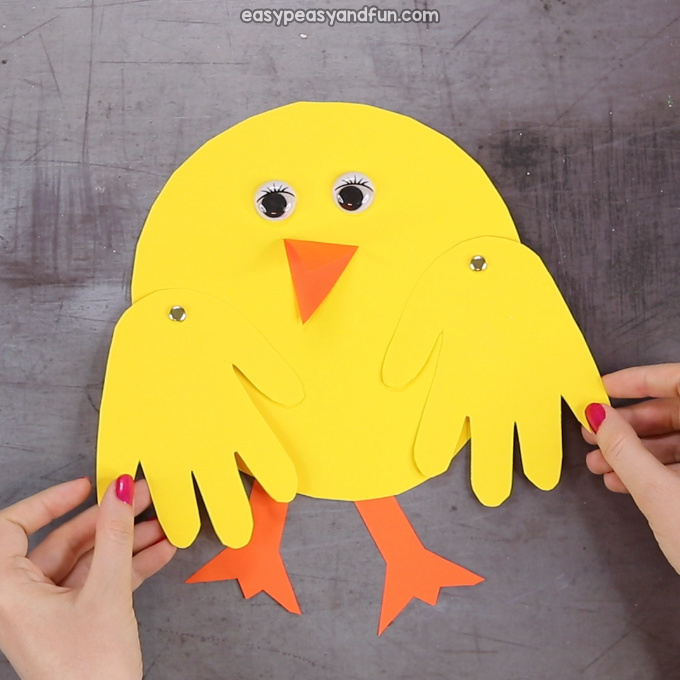 In this tutorial we will be showing you how to use your hands to make a hand print chick craft with movable wings. 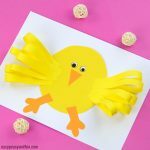 This is a fun Easter craft idea for kids to make and it can be made either in the classroom or at home. 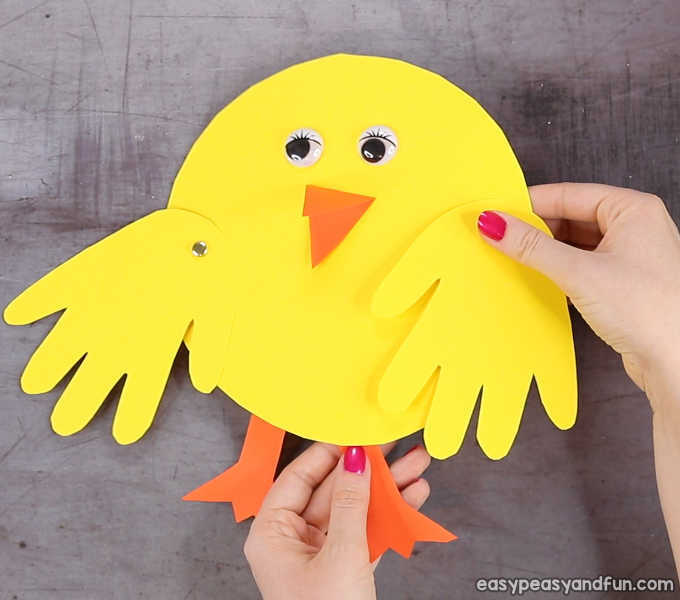 You can make this one out of yellow construction paper or even have the kids dip their hands in yellow paint to make the wings. 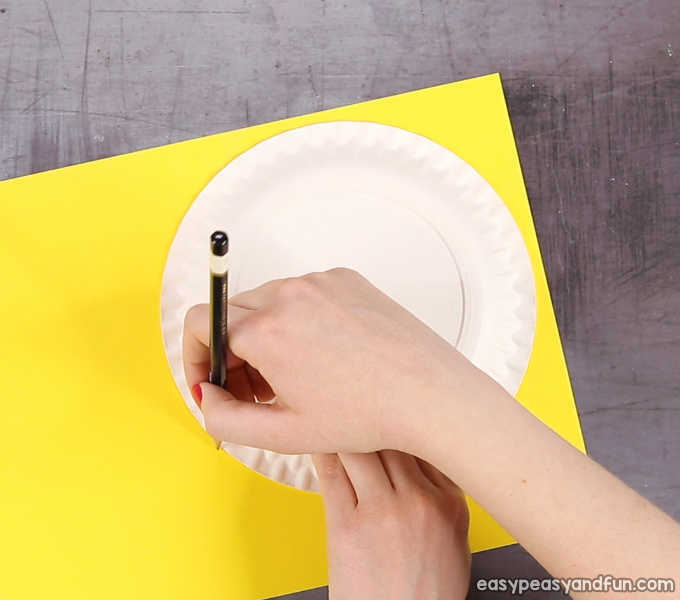 Start by tracing around your hand with a pencil. 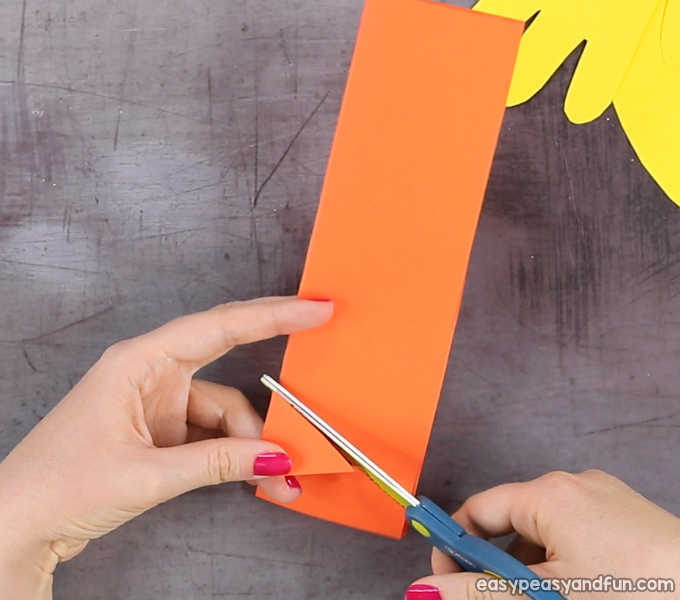 Fold the paper in half so you’ll be cutting two handprints at the same time. 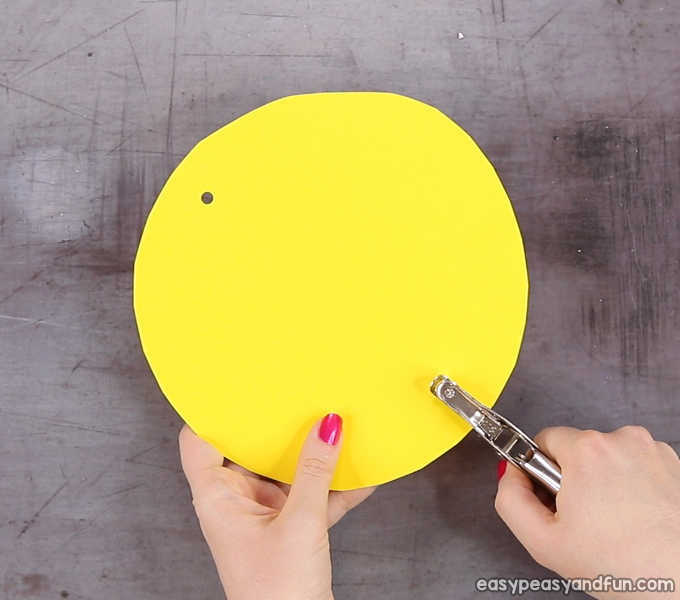 Punch holes on the handprints (use a hole puncher or punch them with a pencil, toothpick or similar tool). 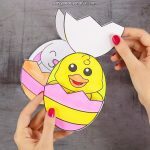 Let’s make the chick’s body. 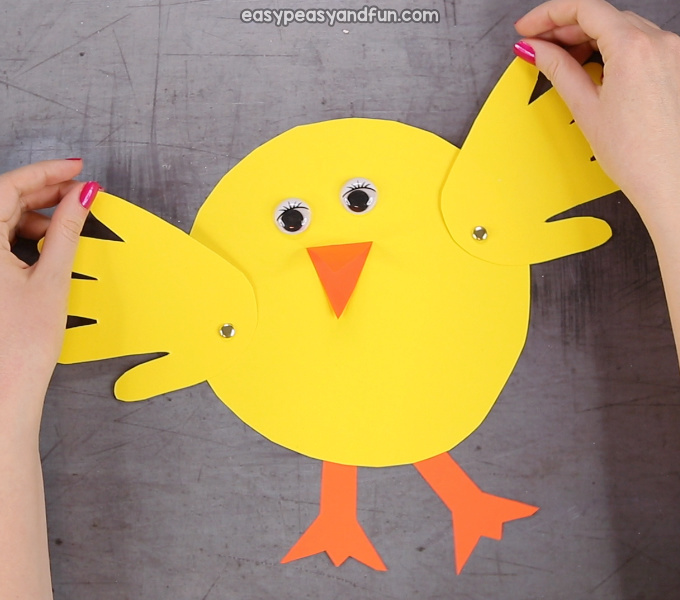 You can draw it or use a round or oval shaped object to trace around. 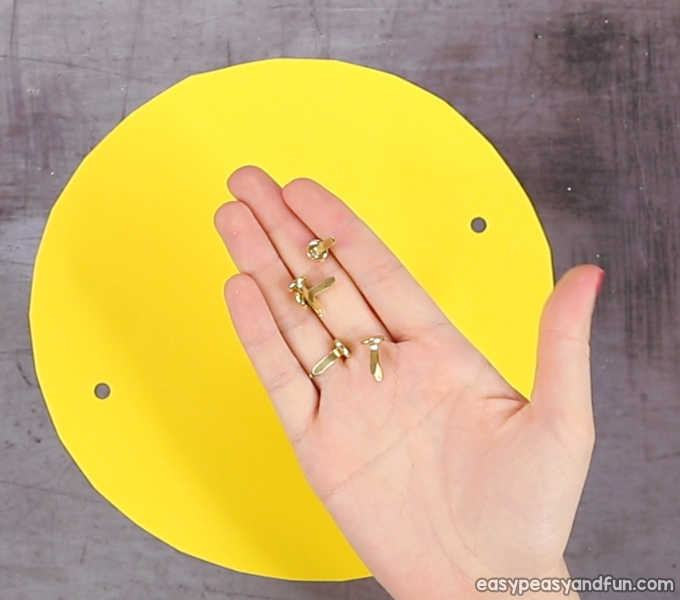 Punch two holes, one on the left side of the chick’s body and one on the right. 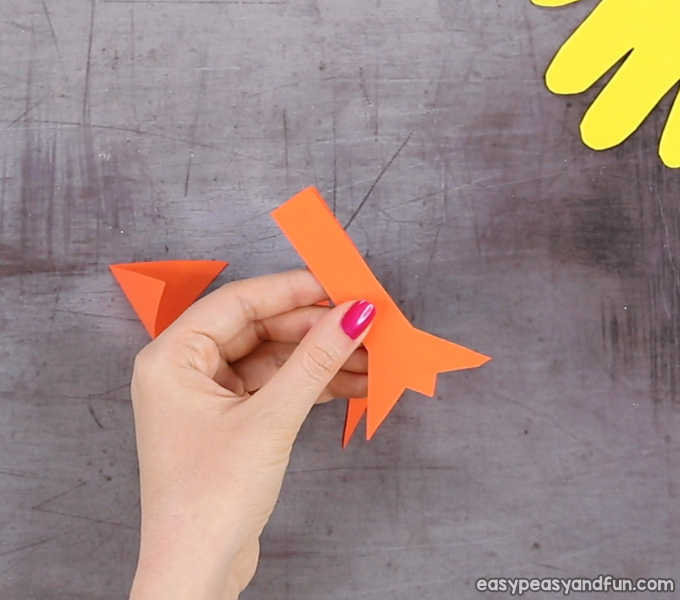 Grab the split pin and push it through the hole on the wing. Next push it through one of the holes on the body, and split the pins on the other side, securing the wing in place. 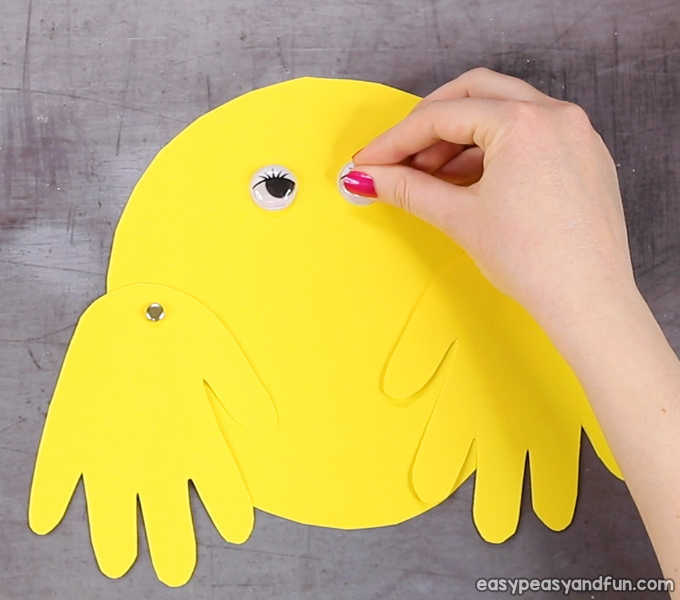 Glue a pair of eyes or draw them. 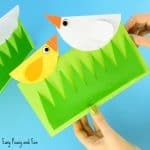 Cut the beak out of orange paper (fold it in half and cut a triangle shape or cut a diamond shape and fold it in half). 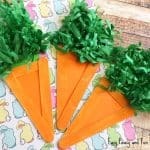 Also cut a pair of feet. 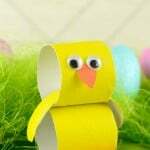 Glue the beak on the body. Stick the feet on the back of the body. All done! 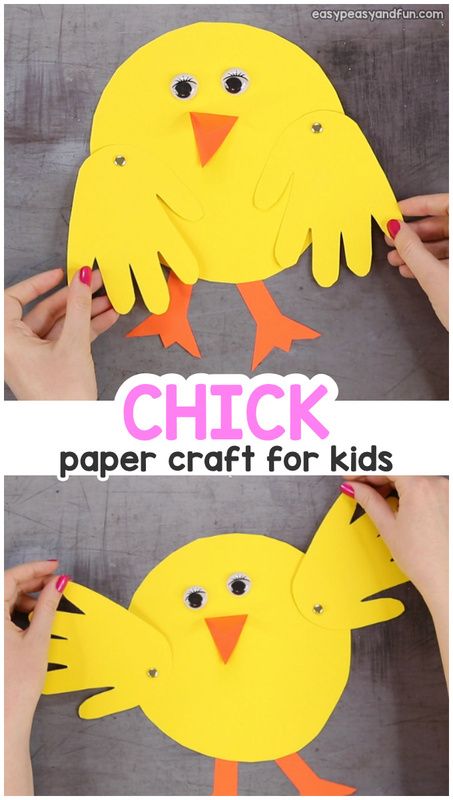 You’ve completed your Handprint Chick Craft and now it can jump around with joy and move it’s little wings. Such a happy little fellow.